If this wounded soldier can reach Septsarges, across the valley, he will find a first aid station. 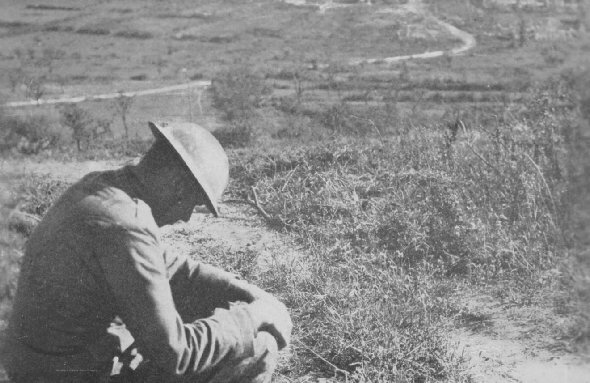 To get there, he must crawl and scramble over the intervening space that is swept by a flanking machine gun fire. 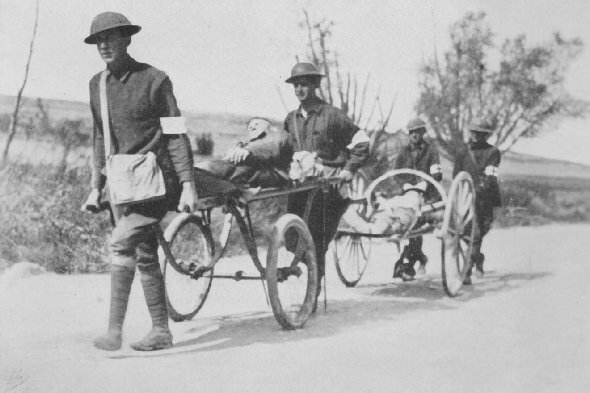 108th Sanitary Train, 33rd Division, carrying wounded to field hospital. Trucks and ambulances are shelled when on this road. This contrivance offers the only possible method of carrying wounded to the rear, Montzeville, September 14, 1918.